Billions of single-use coffee cups thrown away each year were destined for landfill, until the James Cropper Mill (UK) figured out how to recycle them into a range of specialty papers. 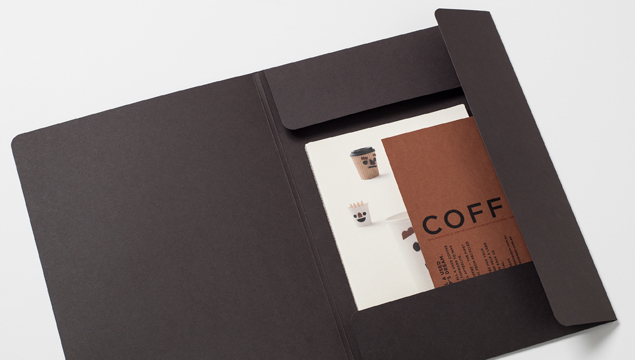 Coffee is distributed in Australia exclusively by Domain Paper. 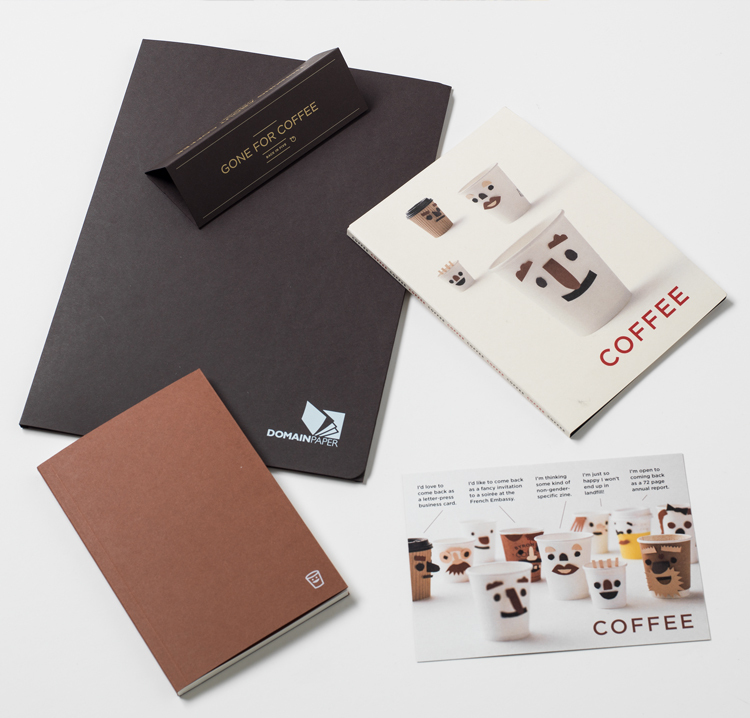 They commissioned us to develop a paper swatch and range of promotional materials including presentation folder, desk card, notebook and postcard. Our designs for this paper swatch and print collateral won a Distinction in the print category at the 2018 Australian Graphic Design Awards.